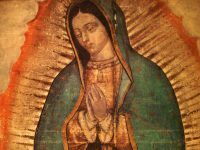 This is an excerpt that recounts the famous apparition of the Virgin Mary, Our Lady of Guadalupe, to the Indian, Juan Diego, on Tepeyac hill outside of Mexico City in the year 1531. The annual Feast commemorating this marvelous event is celebrated on December 12. 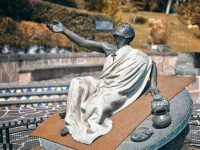 Very early one Saturday morning at the beginning of December of 1531, a poor but respected Indian called Juan Diego (born, it is said, in Cuauhtitlan and under the pastoral care of the religious community of Tlatelolco) was on his way to Tlaltelolco on a holy errand. When he reached the hill called Tepeyac dawn was breaking and he heard singing coming from above the hill. The singing stopped and was not heard again, but he heard a voice calling to him from the top of the hill. “Beloved Juan Diego”, it said. He responded at once, bravely climbing the hill towards the place where the voice was coming from. When he reached the top he saw a Lady standing there, who called him to herself. When he came close to her he was stunned with how beautiful she was: her clothes shone like the sun. Then the Virgin gave him her command: “Know, beloved son, that I am the immaculate ever-virgin Mary, Mother of the true God who is the Origin of all life, who creates all things and keeps them in being, the Lord of Heaven and Earth. 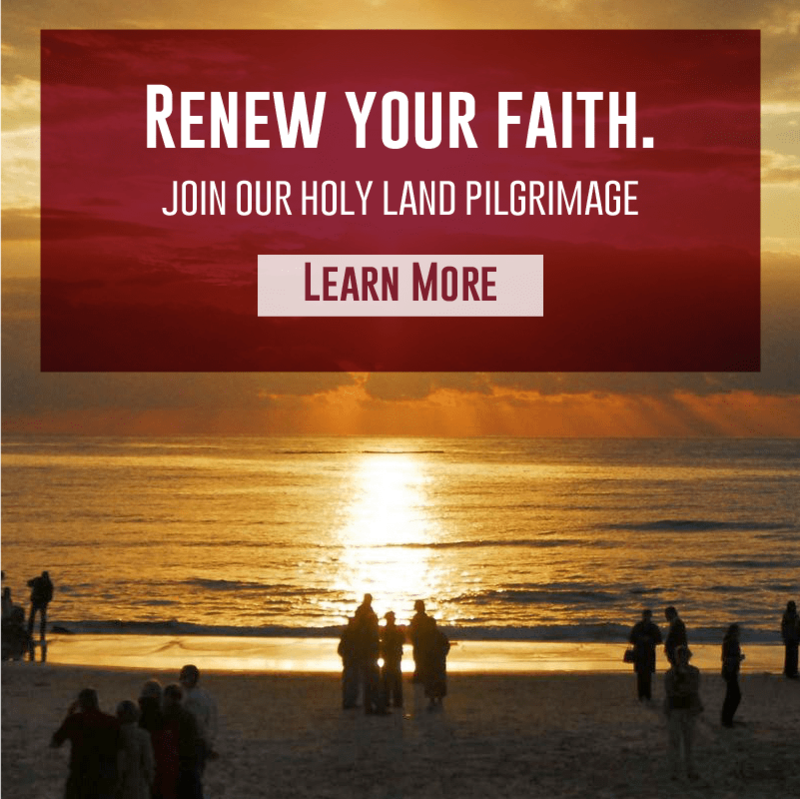 “I greatly wish, I earnestly desire, that my house should be built in this very place. I will show him to you there and praise him as I show him, my Love and Compassion, my Help and Defense. For in truth I am your compassionate Mother, yours and of all who live together in this land and of any others who love me, seek me, and call on me with confidence and devotion. In that house I will listen to their weeping and their sadness, I will give them help in their troubles and a cure for their misfortunes. The whole city came running to see the holy image. They wondered at it, accepted it as the work of God and made prayers to him. 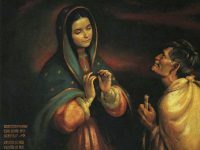 And that day Juan Diego’s uncle, whom the Virgin had cured, told them in what way she should be revered and said that her image should be known as the ever-virgin Saint Mary of Guadalupe. 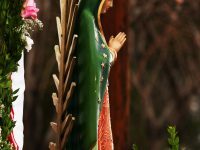 The annual Feast commemorating the marvelous apparition of Our Lady of Guadalupe to the Mexican Indian Juan Diego on Tepeyac hill is celebrated in the Roman Catholic Church on December 12. This account is traditionally read on this date. For more of from the “Nican Mopohua” from which this excerpt is taken, click here. Antonio Valeriano was a native Mexican who was born in the same year that the Spanish conquered Tenochtitlan (what is now Mexico City DF). 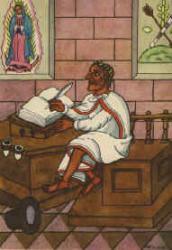 He became the greatest native scholar in his generation, literate in the Aztec language, Nahuatl, as well as in Spanish and Latin. He served as the Governor-Judge of his hometown, Acapotzalto, as well as Tenochtitlan. 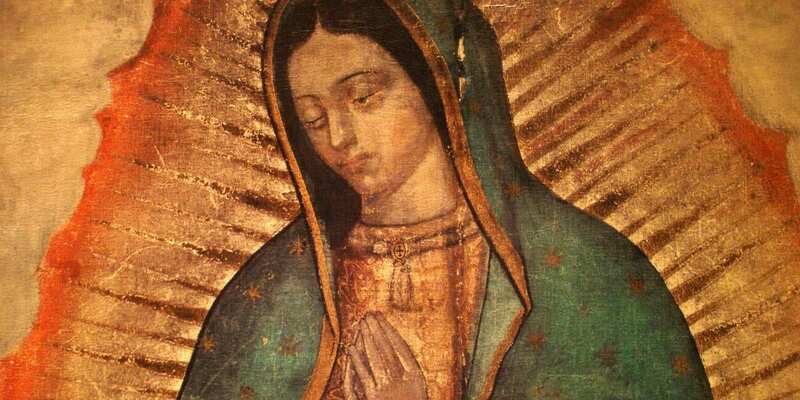 But he is most well known as the author of the famous account, written in Nahuatl, of the apparition of Our Lady of Guadalupe, the Nican Mopohua. Regrettably, no original copy of his text survives. It comes to us through a longer work published in 1649 by Luis Lasso de la Vega who does not credit Valeriano. De la Vega was not alive at the time of the apparition and so was obviously relying on an earlier source which the majority of scholars identify as Antonio Valeriano who died in 1609.